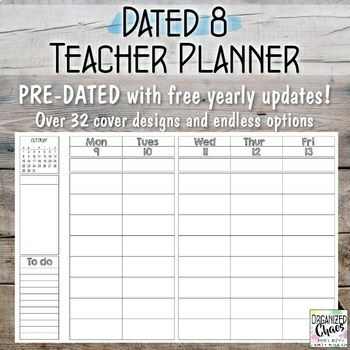 This is the perfect planner for teachers who want maximum lesson planning space but teach a lot of classes. Each day is dated for the entire 2019-2020 school year! And best of all: FREE UPDATES each year! 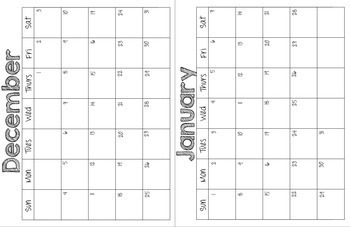 The planner will be updated each year to reflect the new dates, so you will never have to purchase another planner again! This planner is designed with the specialist teacher in mind, but many other teachers have found the format perfect for their needs. Check out the preview to see if this is the planner for you! 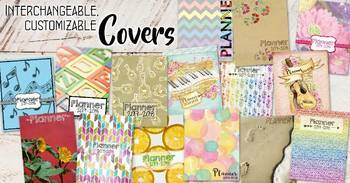 Please watch this video to get an overview of all the planner options in my store and find the best one for you! Not sure which lesson planning format is best for you? Watch this video to help you find the best one for your needs. This planner is a part of the Music Teacher Entire Life Planner Bundle: 8 dated big lessons, which also includes a Teacher Entrepreneur Planner Bundle, Ultimate Music Teacher Organization Binder, Goal Setting Worksheets for Teachers, and Home Management Binder. The weekly lesson planning pages are designed to maximize lesson planning space. Only weekdays are included, with each week covering a 2-page spread. 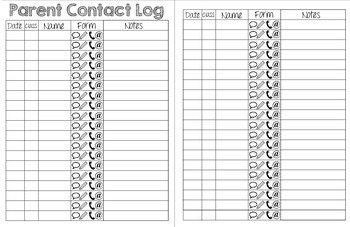 Eight lesson planning blocks are included for each day, and there is also space to note other important events and prep work each day, and a to-do list and notes section each week. The entire planner is available in powerpoint format with this download. Type in any information or add other design elements before you print to fit your exact needs!